This is an acrylic painting on gallery wrap canvas with painted sides, and requires no frame. This painting measures 11″x 14″. 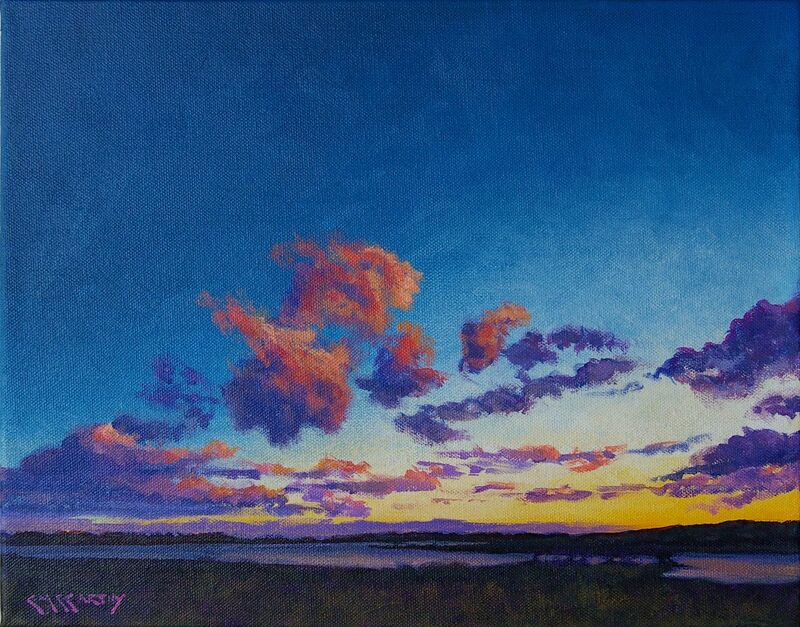 This is a painting of the last light of the day kissing chopped up cumulus clouds sailing over the waters of Spruce Creek on a very windy evening. It’s based on a short trip I took to Spruce Creek Park, north of New Smyrna Beach, on the east coast of Florida. The park was one that I would visit on occasion, since it was on US Hwy. 1 on my way from Daytona Beach to my home in Edgewater. This small painting is being sold unframed.